The last time we heard from Dell was when they introduced the Venue 8 7000, and Dell claimed that it is the world’s thinnest tablet. 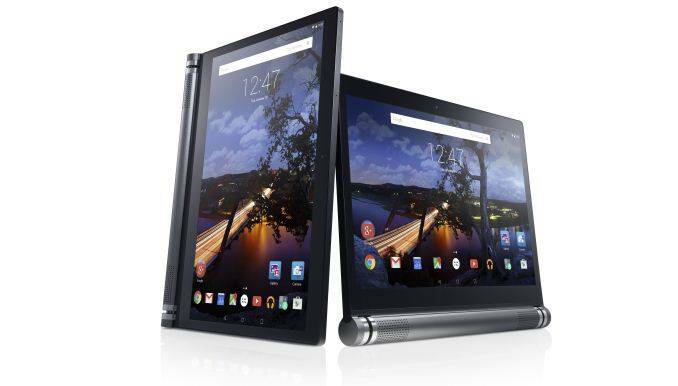 Now Dell is back again with yet another addition, and this time it is the Dell Venue 10 7000. This tablet has a premium design and it seems that Dell is targeting business users with this tablet. It also features Intel’s RealSense 3D depth-sensing camera and a stunning 2560 x 1600 OLED display. As it is a premium tablet, its starting price is $499 which is kind of pricey for an Android tablet, but one just can’t ignore the amazing features the tablet offers. It features a 7,000 mAh battery which will run smoothly for 15 hours. The tablet’s stereo speakers fit inside the thick cylinder that runs along one end, and also the battery is there as well. It is running on a Intel Atom Z3580 Moorefield processor with 2GB of RAM. Also, if you are interested, you can grab a $130 magnetic, backlit dock keyboard that can position the tablet in five different configurations: tablet, slate, stand, tent or clamshell mode. The tablet will be available in U.S., Canada and China in May 2015. Are you planning to grab this tablet? Let us know in the comment box below. Asad is a former freelance writer of AndroidGuys. These words are his own and do not reflect those of AndroidGuys as a whole.